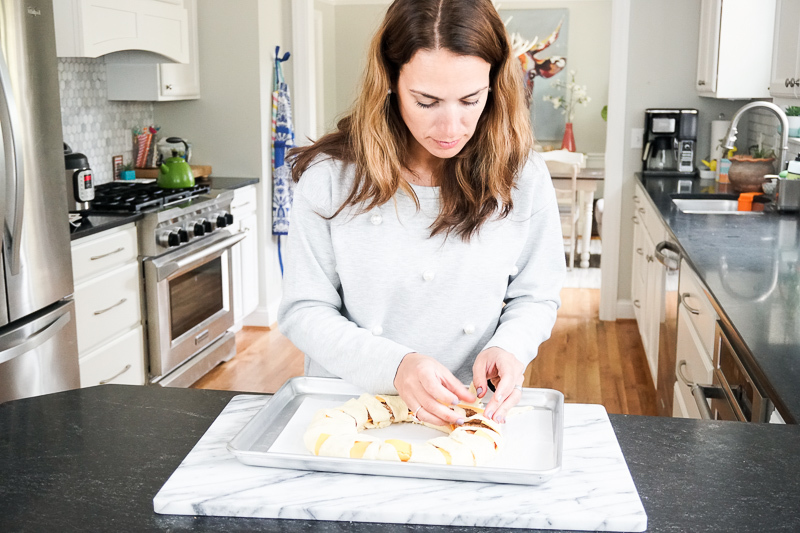 The holiday season is nearly here, which means that I am looking to simplify every single part of my life, especially when it comes to mealtime. Meal planning has never been my strong suit. In fact, most days you’ll find me at 5 pm wandering around my kitchen wondering what I can pull together and call dinner. And during the holiday season, this seems to be even harder for me. Between the holidays and celebrations, there are still 83 meal occasions that require me to plan, prep and serve. It’s enough to make me want to cry. I have a simple meal to add into our meal rotation for the holiday season. 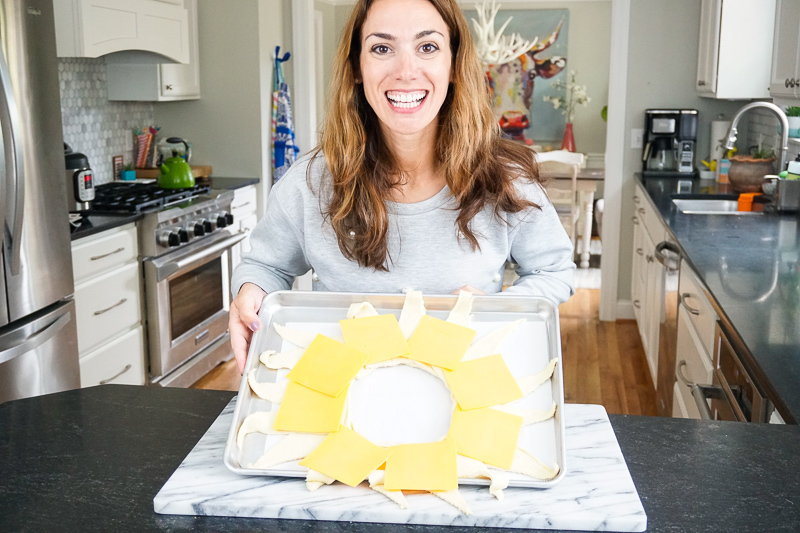 It hardly takes any time to make, it’s festive and (most importantly), my kids and family love it! It’s no secret that I’m a Meijer fan, and that has never more true than during the holiday season. Grab my groceries plus my gift wrap AND last-minute gifts all at the same place? 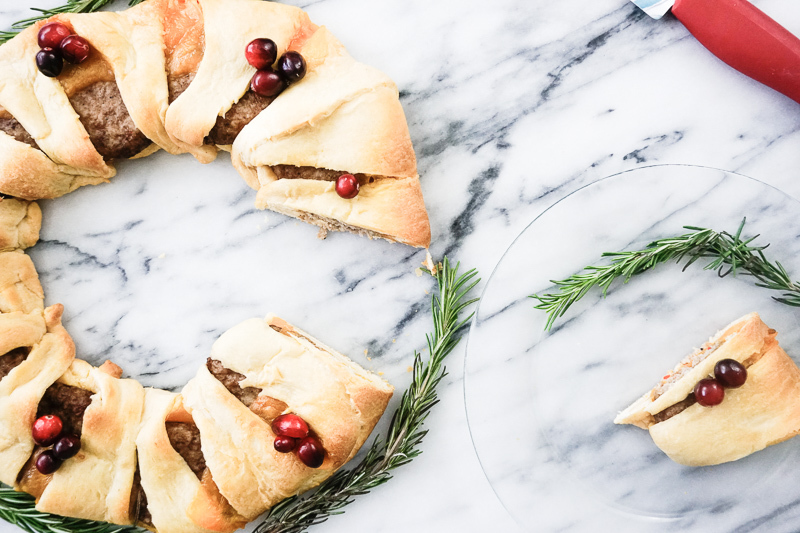 As I was preparing for this post, I made a test sausage wreath and had it ready for the kids when they hopped off the bus. 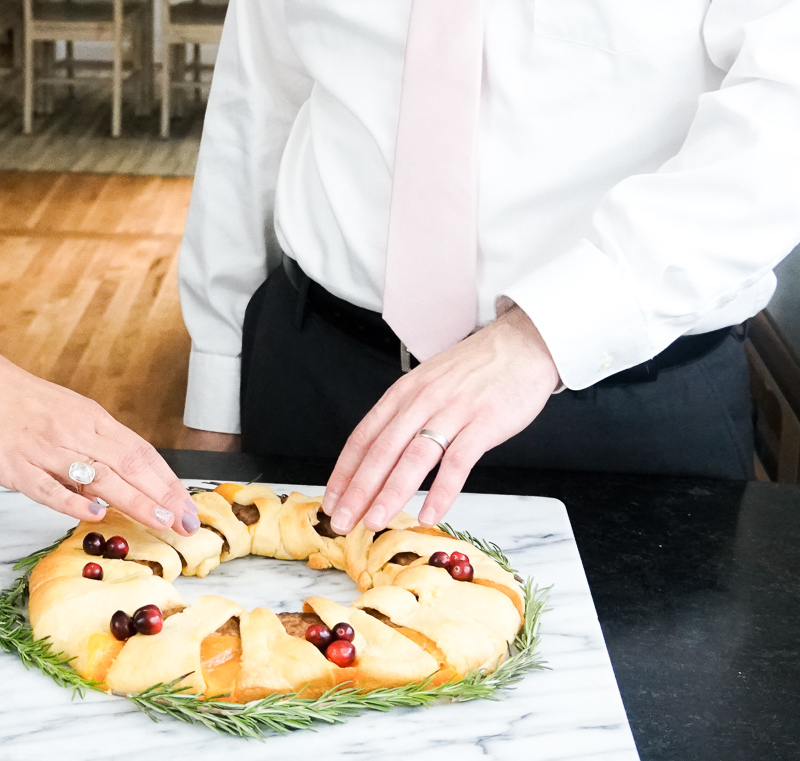 As in, they ate the entire wreath – and then they begged for more. 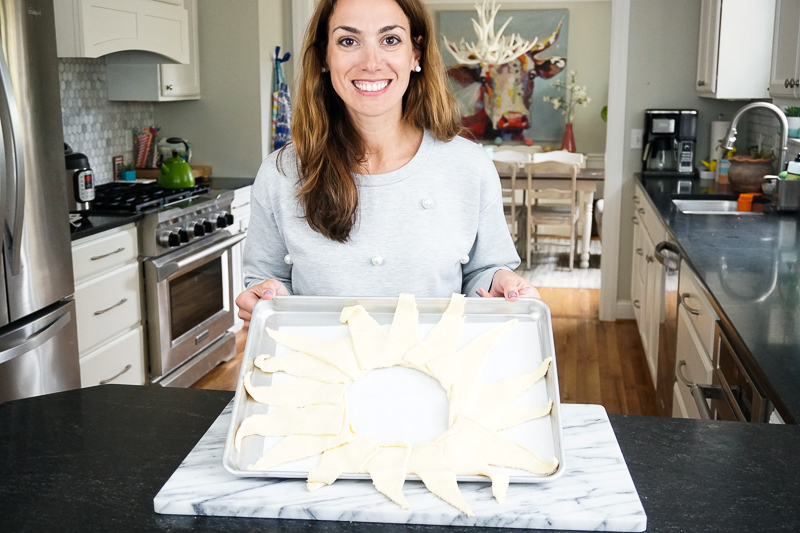 It is officially on our meal rotation list, and while I’m thrilled that it’s such a fun and festive treat to enjoy during the holidays, I’m more excited about how simple and fast it is to make. It’s perfect for our busy nights when the kids have basketball practice, and we need a super quick and delicious dinner. Did I mention how easy this is to make? Place your cheese slices around the circle. 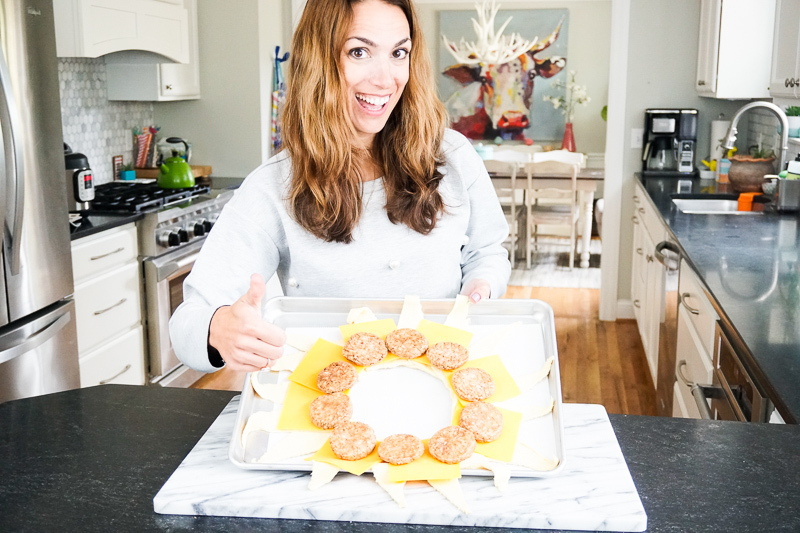 Next, place your Jimmy Dean Fully Cooked Pork (or Turkey) Sausage Patties around the ring. 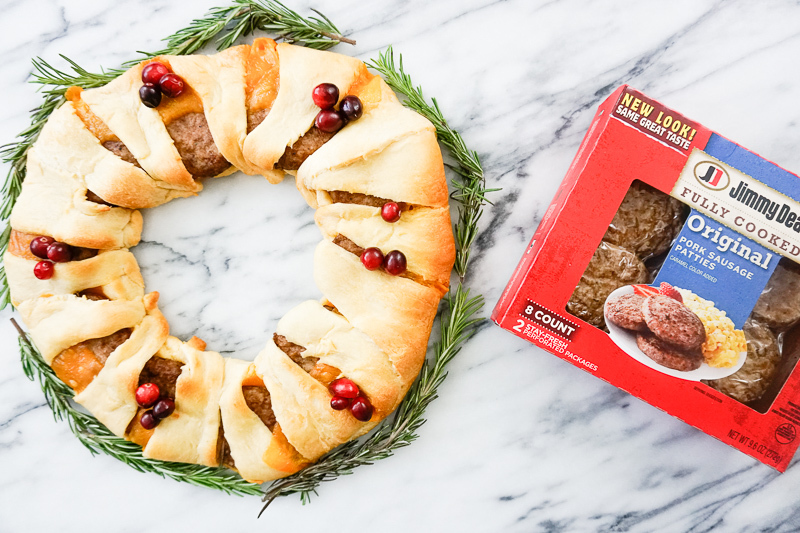 Our family loves the signature seasonings found in Jimmy Dean Brand products, and I love that they’re made with fresh, high-quality pork (or turkey) sausage. You can find it in the refrigerated aisles at Meijer. Click here to learn more. 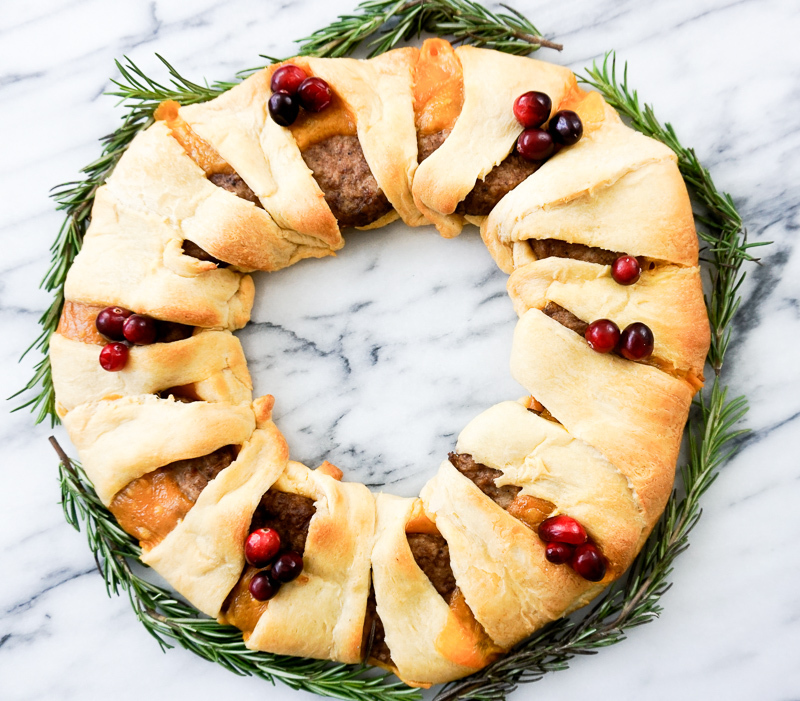 Finally, wrap your crescent dough around the cheese and sausage patties, and tuck the ends under the wreath. 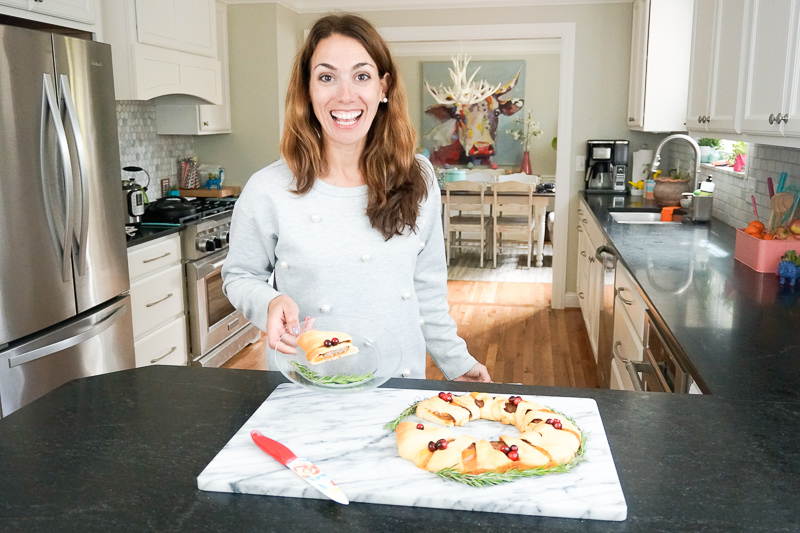 I’m just going to go ahead and tell you that making this sausage wreath is a whole lot more fun when you stop at each stage to take a really ridiculous picture of yourself with your food. Bake for 20 minutes at 400 degrees Fahrenheit or until golden brown and bubbly. 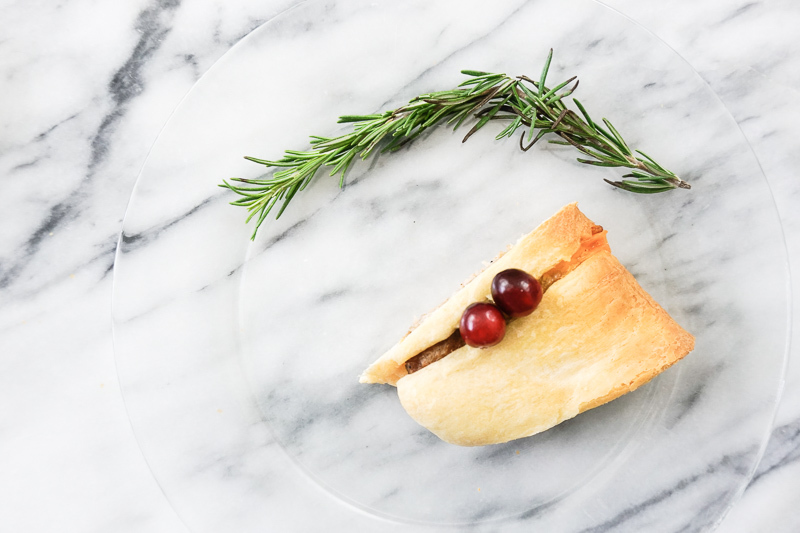 Top with fresh cranberries and garnish with rosemary. And while this is going to be our super simple weeknight meal all winter long, it would also make a filling and festive party appetizer. 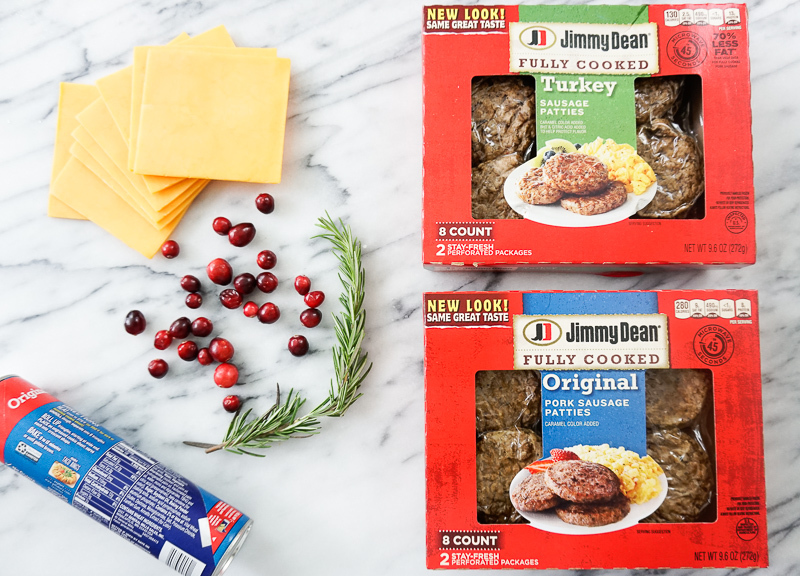 Click here to learn more about Jimmy Dean Fully Cooked Pork (or Turkey) Sausage Patties and to purchase them at Meijer. ← Previous Story Looking for DIY Christmas Decor Ideas? Look no further!